Bridesmaids shouldn't be the only one that have some fun with the ask. Learn how to ask your groomsmen to be in your wedding with these helpful tips. 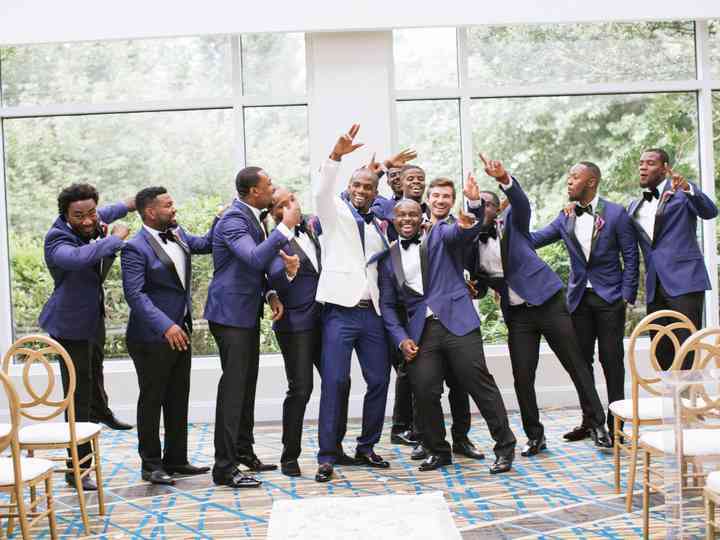 Groomsmen have a lot on their list in order to support the groom: renting suits or tuxes, attending wedding events, writing a speech, getting along with everyone in the wedding party. Figuring out how to ask your groomsmen in a clever way will show your appreciation from the get-go. There are so many ways to ask your groomsmen, so it's all about picking the best method to fit your pals' personalities. This is everything you need to know when it comes to how to ask your groomsmen to be in your wedding. If you’re having a long engagement, don’t worry about securing your groomsmen right away. Friendships may shift over time and you don’t want to be caught in a sticky situation of having to backtrack on your offer. Plan to ask everyone eight months to one year in advance. Before you think about how to ask your groomsmen to be in your wedding party, think long and hard about who you'll be asking. You may be stoked about a new friend, but it’s better to play it safe by choosing groomsmen who have been in your life for a long time. In the space between wedding planning and the wedding day, your budding friendship could go in one of many uncertain directions. Even if you were in someone else’s wedding party, you’re not obligated to ask them to be in yours. Every wedding is different. You may have a huge family who fills in all the groomsmen slots or you may be going for an understated, small wedding party. The point is to be happy with your choices before, on and even after the wedding day. Those pictures will last forever! Your best man doesn't have to be a man at all. You can ask your sister, your favorite female cousin, or your best female friend to be in your party, serving as "best woman," "groomslady," or whatever creative moniker you can come up with. There are no rules. Choose the most important people in your life, regardless of their gender. Be just a little formal. You don’t have to make a huge event out of asking your groomsmen, but don’t take an entirely casual approach, either. Instead of emailing or texting them, make a point to call them or speak with them in person. Build a groomsman starter pack. Clue them into the fact that you’re about to ask them to be a groomsman by gifting them with a wedding day starter pack. Include things like a shaving kit, cufflinks, tie bar, and socks. Unlike a starter pack, the groomsman’s box doesn’t have to have wedding-specific items. Start with a cool tin or wooden box, then fill it with items they’ll love, like a small bottle of their favorite liquor, an expensive cigar and an engraved lighter. Having a hard time finding a box? Search for tin lunch boxes. One of our favorite ways to ask groomsmen to be in your wedding party: Invite everyone over to watch the game or have dinner, then hand out “Will you be my groomsman?” cards. If you’re going to attach something small to the front, like a shot glass, use heavy card stock that won’t bend. You can also pop the question on an item they’ll be using that evening, like coasters or napkins. If some of the guys haven’t met yet, this is a great opportunity to break the ice. Weddings are serious endeavors but when it comes to how to ask your groomsmen, you can still remain lighthearted. Instead of writing, “Will you be my groomsman?” replace it with with something more clever like, “She said ‘yes,’ now it’s your turn” or “Your service as a groomsman is required.” Leave space for them to sign their name on the bottom of the card as an “official” commitment. Say it with a bottle. Get a full-sized bottle of their favorite booze and attach a funny or sentimental note to the front asking them to be your groomsman. You can also have a custom label made for the bottle or have the bottle engraved. If any of your groomsman are underage, use root beer. Want to completely embarrass your friends at work? 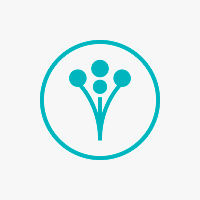 Send them a bouquet of roses with a note that asks them to “yes” to being a groomsman. Sign them up for a subscription. Even if one of your groomsmen doesn’t live close enough to come over for the day, you can still find a special way to include him. Think about his favorite things – does he love candy from his childhood, Japanese snacks, cinema memorabilia? Sign him up for a subscription box. Most services will let you send between one and three boxes, often for a lower price if this is your first time ordering. Include a personalized note asking him to be your groomsman. Remember, it’s always a good idea to compare with your significant other before asking your groomsmen. First, you’ll want to agree on the total number of people in the wedding party (remember, it doesn't have to be even!). Second, while you may not necessarily veto one another’s choices, communicating does give you the opportunity to work out any differences before the wedding party is set in stone.